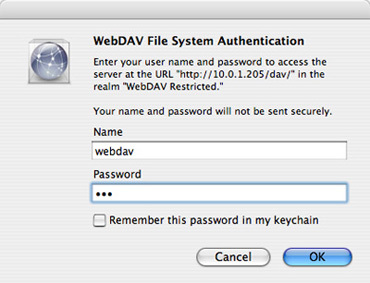 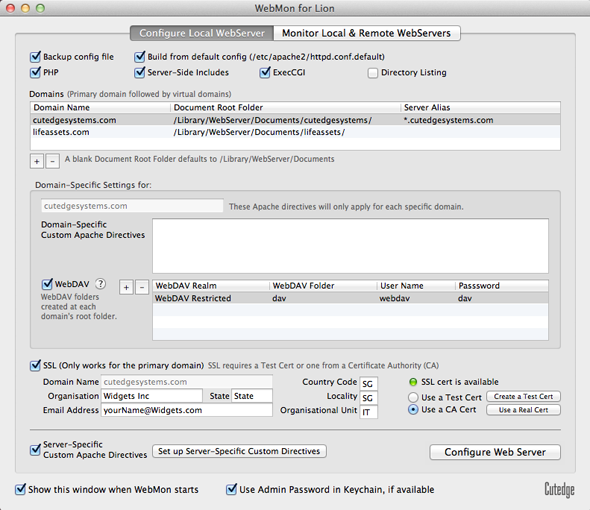 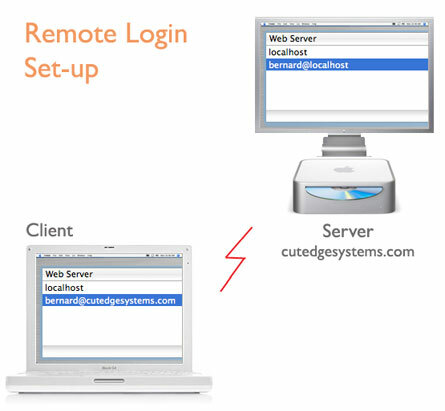 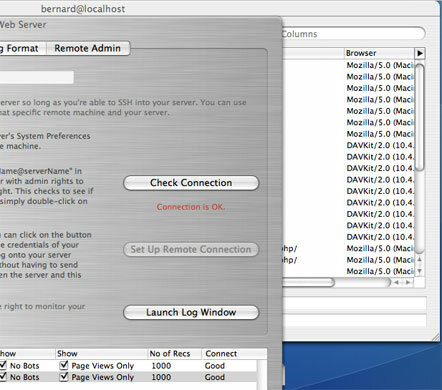 WebMon configures OS X's built-in web server to support server-side includes, execCGI, PHP, SSL (including support for inserting Intermediate CA certs) and WebDAV, for multiple domains running on the same server. 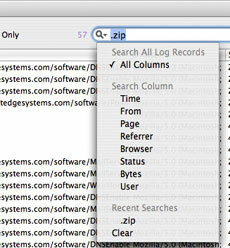 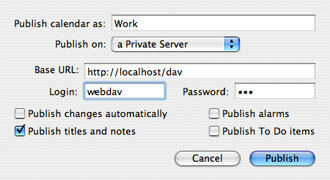 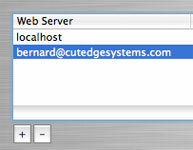 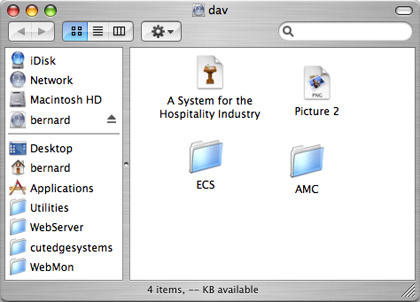 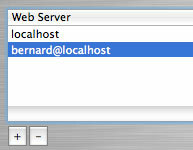 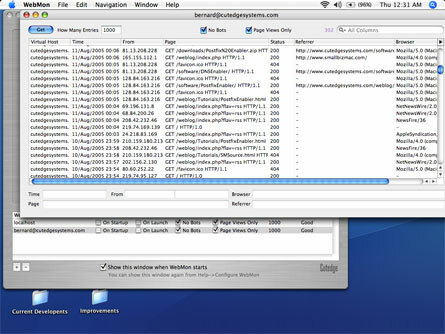 Looking for WebMon for Mountain Lion? 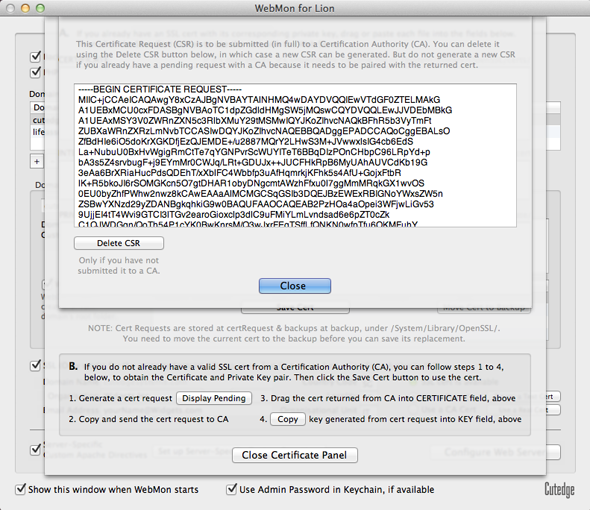 Once the certificate (text block) is returned from a CA, you can paste it back into WebMon, into the CERTIFICATE field, below. 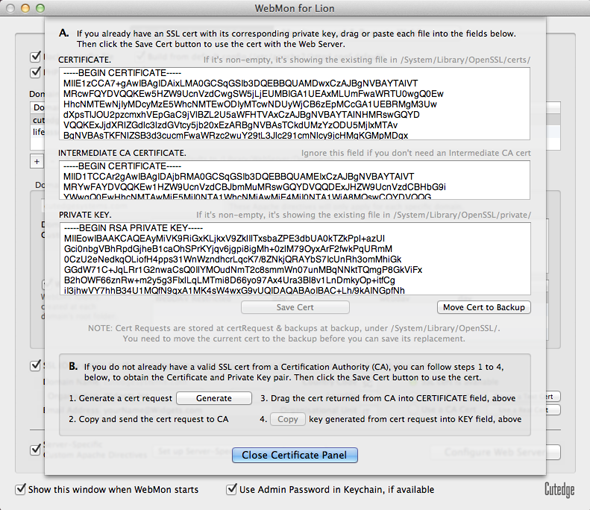 If the certificate require you to chain it to an INTERMEDIATE CA CERTIFICATE, WebMon has a field for that. 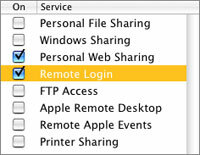 Make sure you retrieve the PRIVATE KEY it should be paired with by clicking on the "Copy" key button. 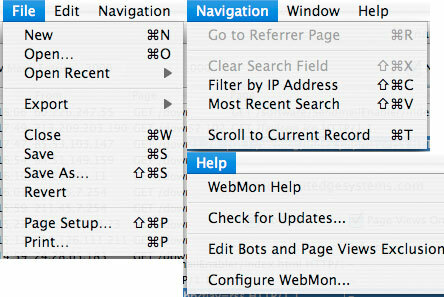 WebMon will take care of saving it into the right place. 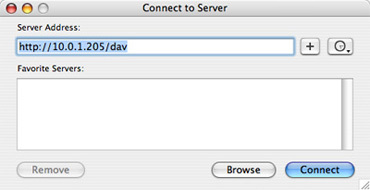 5.0 July 14 2011. 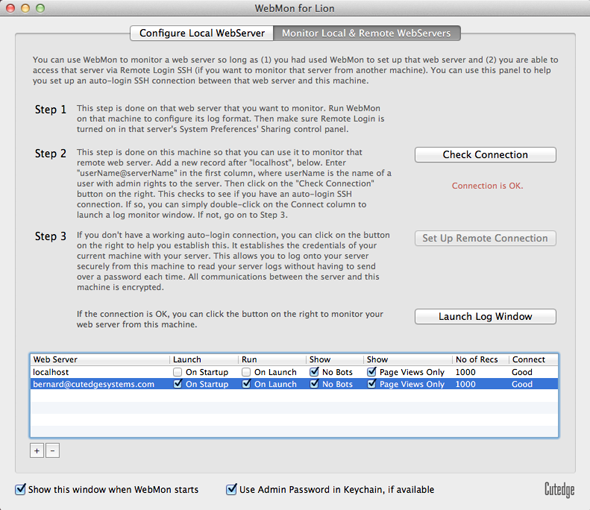 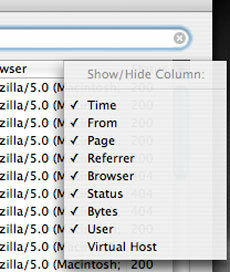 WebMon 5.0 for Lion released.